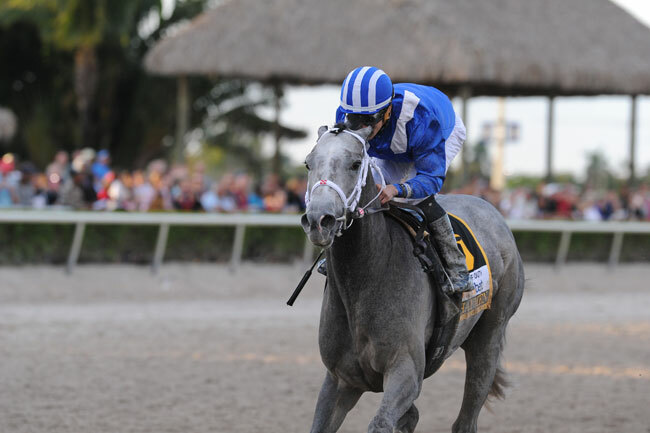 Mohaymen Takes Another Step After Fountain of Youth Victory: The Fountain of Youth proved to be just another stepping stone for the undefeated Mohaymen, who exited the race in the same order as he went in. He easily won another race that proved likely a bit tougher test than before, yet he won with some authority and ease. Recapping the race, the start was no easy thing for almost half the field. Golden Ray was hard to control, side swiping Awesome Speed twice, the second time, Awesome Speed in turn pushed Mohaymen five-wide in the first turn. The grey colt dropped back to allow Awesome Banner, Zulu, Awesome Speed, and Golden Ray establish a pecking order. Golden Ray was tough to control, wanting to run, throwing his head as jockey Miguel Vasquez tried to rein his mount in. 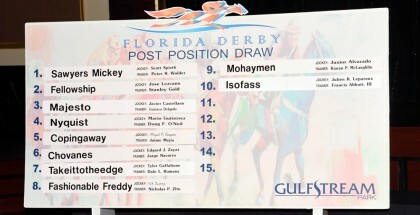 The field completed the first quarter in 23 2/5, before Golden Ray and Awesome Speed gave way a bit, allowing Mohaymen to move into third, leaving the three undefeated colts running 1-2-3. After a ½ in 47 flat, Zulu and Mohaymen pulled away as Awesome Banner gave way to the top two contenders. Zulu put a head in front with Mohaymen in hot pursuit. The two pulled away from the field, going ¾ in 1:11 flat. Into the stretch, Zulu tried to make a race of the final splits, but Mohaymen took off, leaving the less experienced Zulu to run second the rest of the way home. Mohaymen completed the mile in 1:36 flat before crossing the wire alone, an eased 2 ¼ lengths in front of Zulu. The time for the 1 1/16 miles contest was 1:42 4/5. The Fountain of Youth was the fifth win in as many starts for the colt. His is bred to continue improving as he matures and he is given more distance. 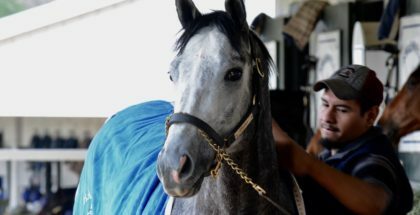 The son of Tapit not only earned $805,350 in his five starts, but has also established himself as the easy choice as the early Kentucky Derby 142 favorite. He has 70 points on the Road to the Kentucky Derby leaderboard, which firmly places him already having his spot in Louisville waiting for him. Mohaymen will have one more start before his Run for the Roses. 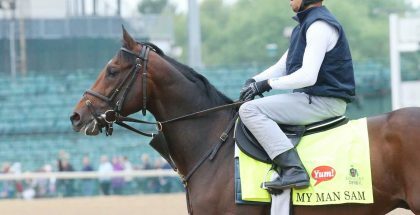 His next start is scheduled to be the Florida Derby, where he will face Nyquist, the undefeated 2015 Champion Two-Year-Old Male. 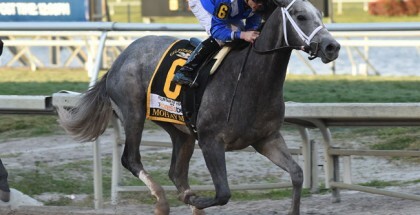 Mohaymen was a $2.2 million yearling purchase at 2014 Keeneland September. The colt races for owners Shadwell and is trained by Kieran McLaughlin. Neither connection has a Kentucky Derby win to their credit. Shadwell has a Classic win, however, in the 2006 Belmont Stakes, with Jazil. Kieran McLaughlin trained that colt as well. Kieran has also trained a second place Kentucky Derby runner in Closing Argument and a Belmont 2nd place finisher in Frosted, who could not catch American Pharoah last year. Mohaymen is sired by Tapit, who stands at Gainesway for a fee of $300,000. Mohaymen is out of the Dixie Union mare, Justwhistledixe, who also produced 2013 Breeders’ Cup Juvenile winner, New Years Day (Street Cry). Dixie Union has proven to be a source of stamina, as his son Union Rags won the 2012 Belmont and is also the damsire of Kentucky Derby contender, Mor Spirit.